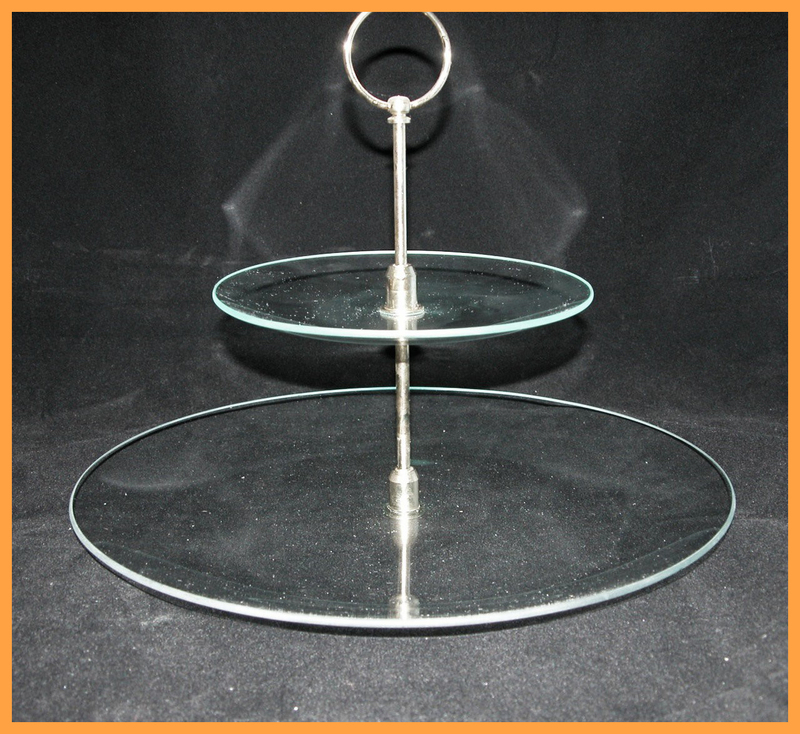 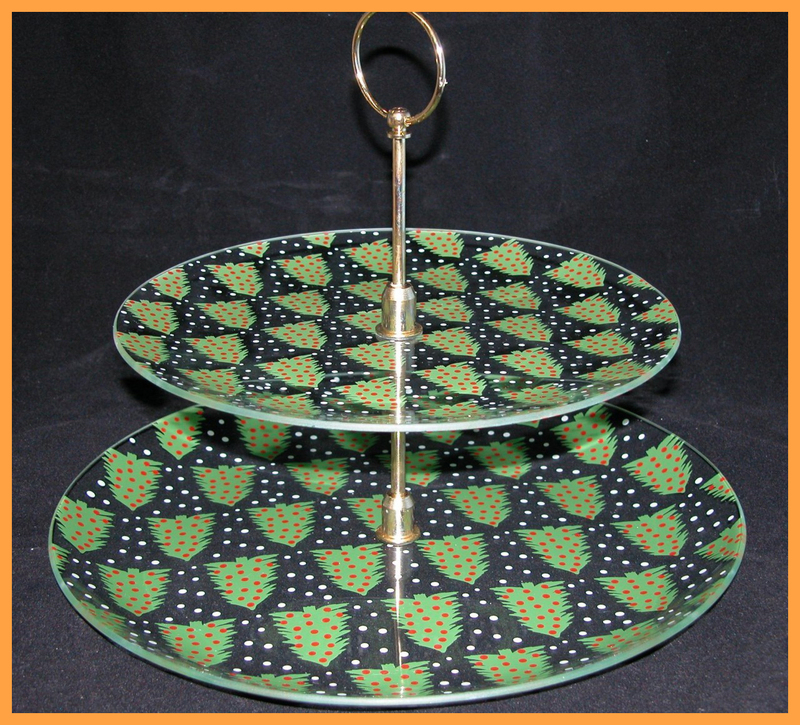 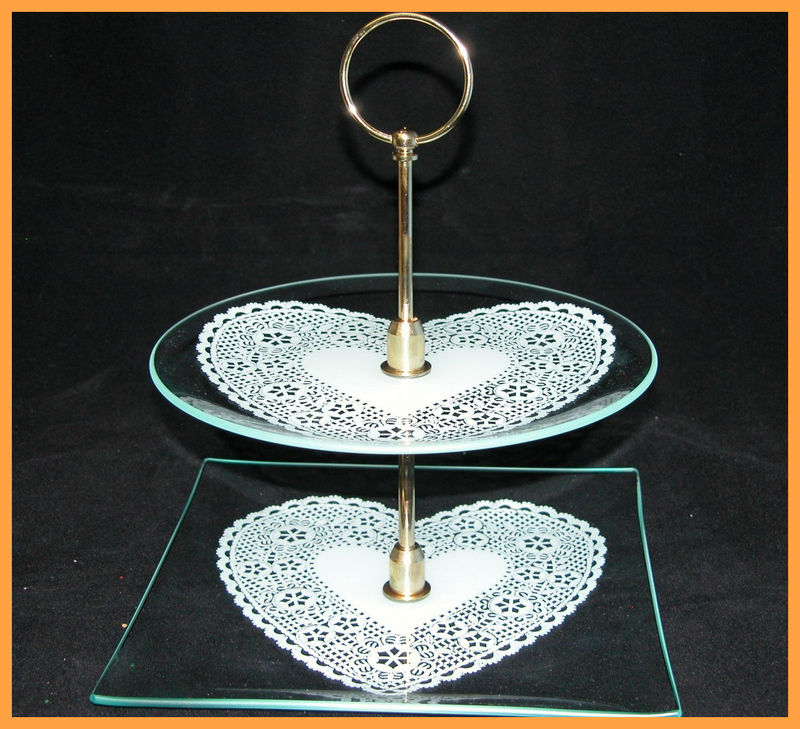 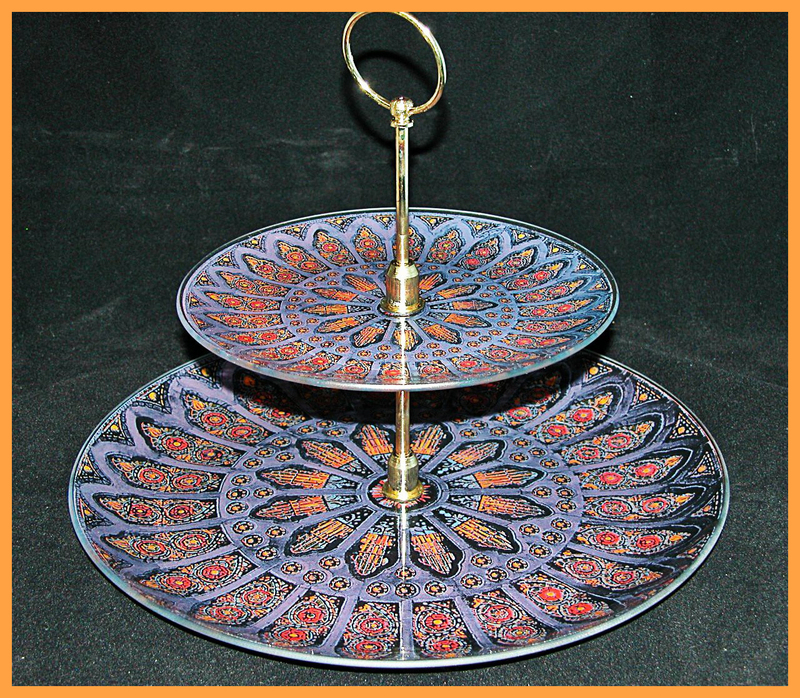 These tier trays are sold in a 2 or 3 piece serving set. 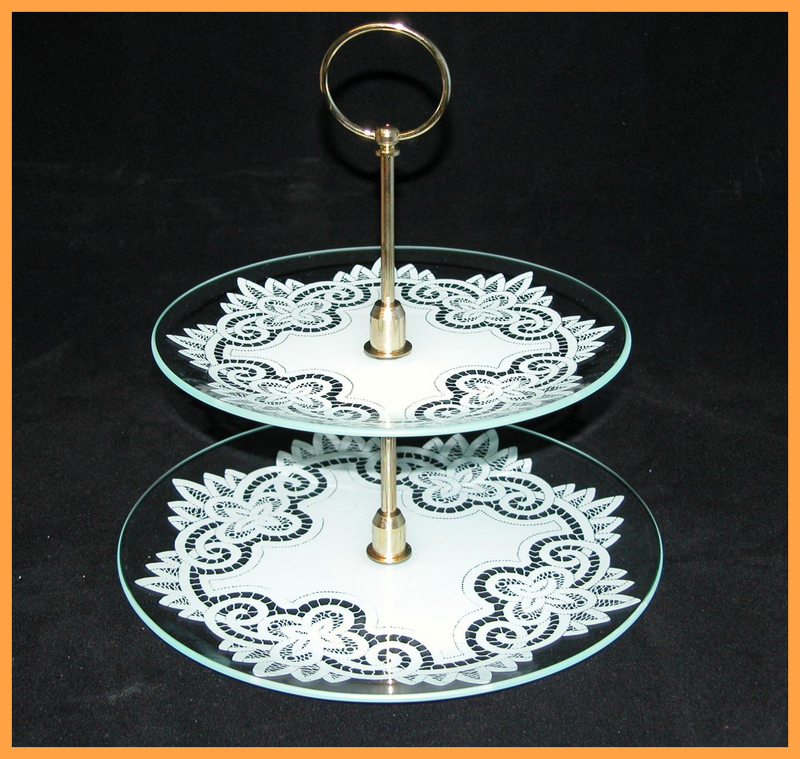 The design/color is silk screened and fired onto the glass. 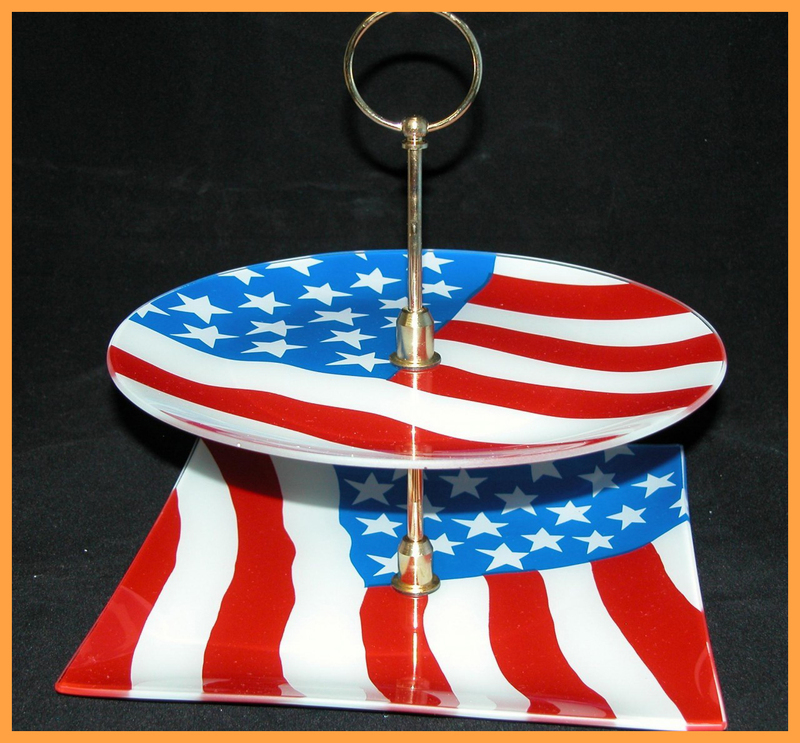 The plates are dishwasher safe but we recommend that you hand wash the post. 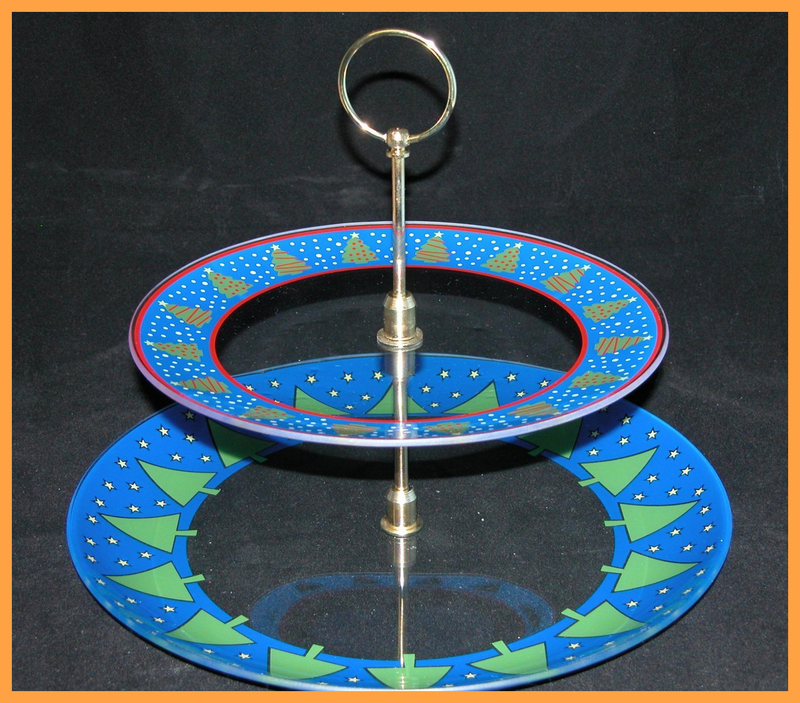 The set comes unassembled with directions on how to assemble it from the box. 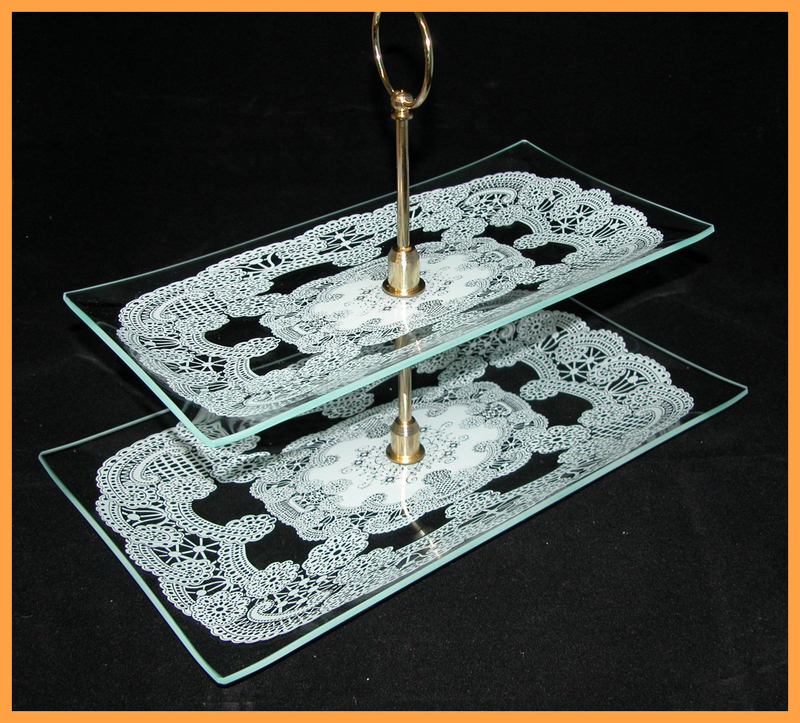 These sets come in clear so that you can decorate by using decoupage, engraving, etching, or painting. 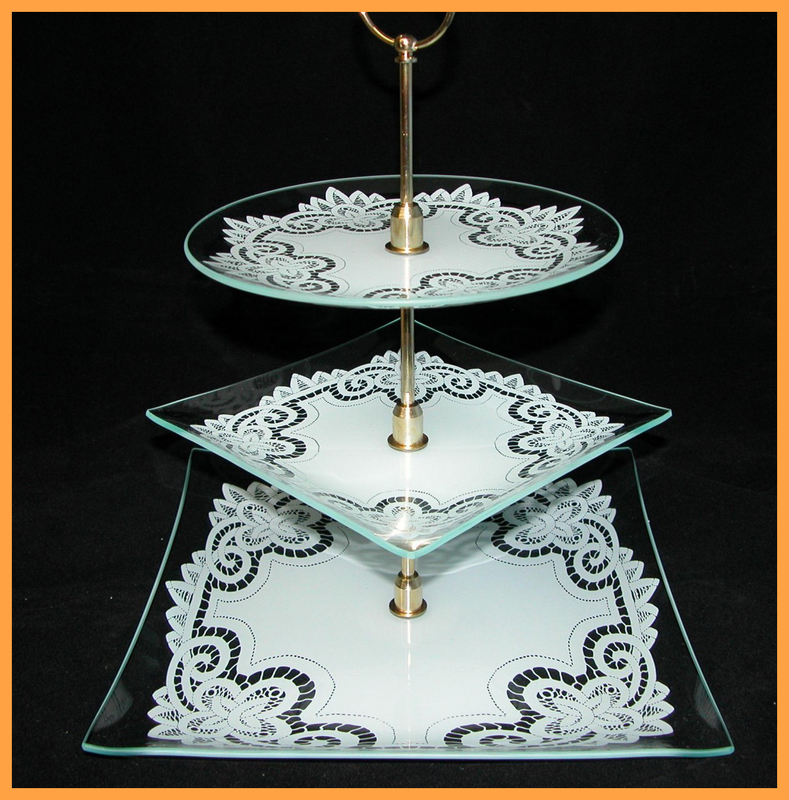 Christmas, Winter, Patriotic, Stained Glass and Lace themes are available for any holiday or special event. 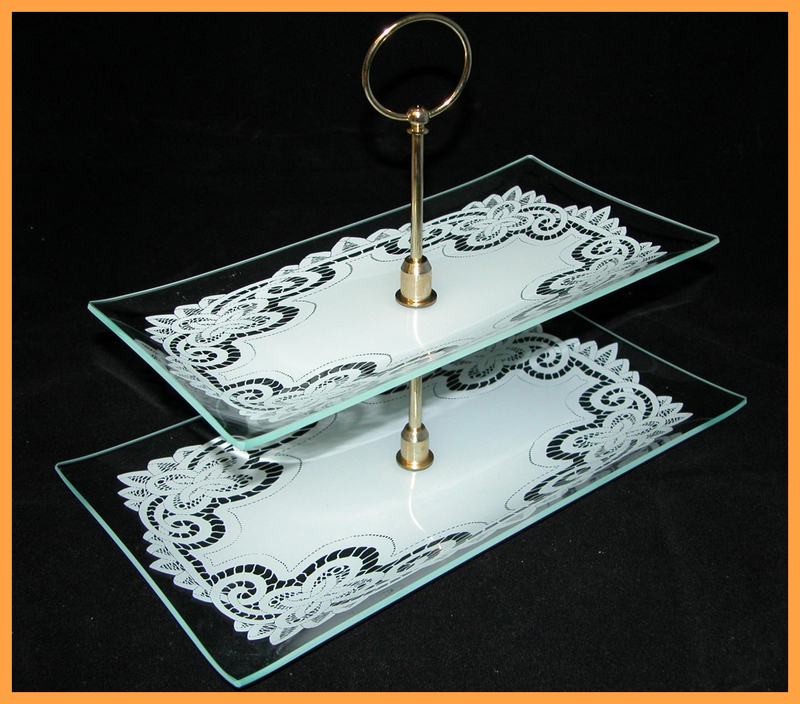 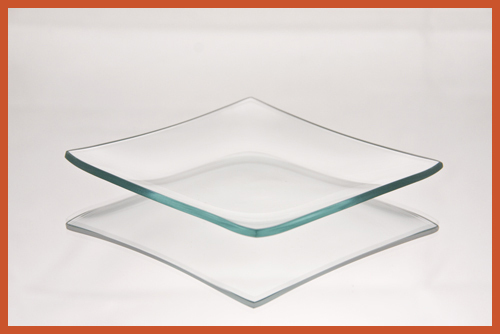 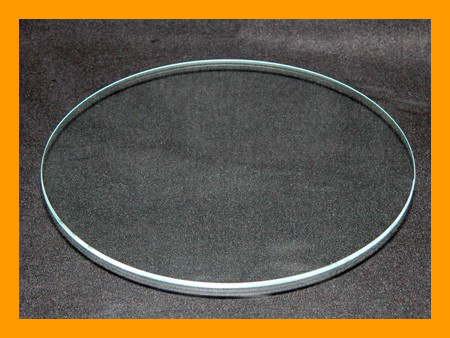 These tier trays are great for parties, weddings, and family gatherings. 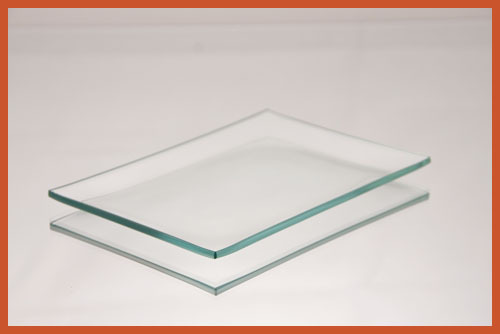 Glass is made in the United States. 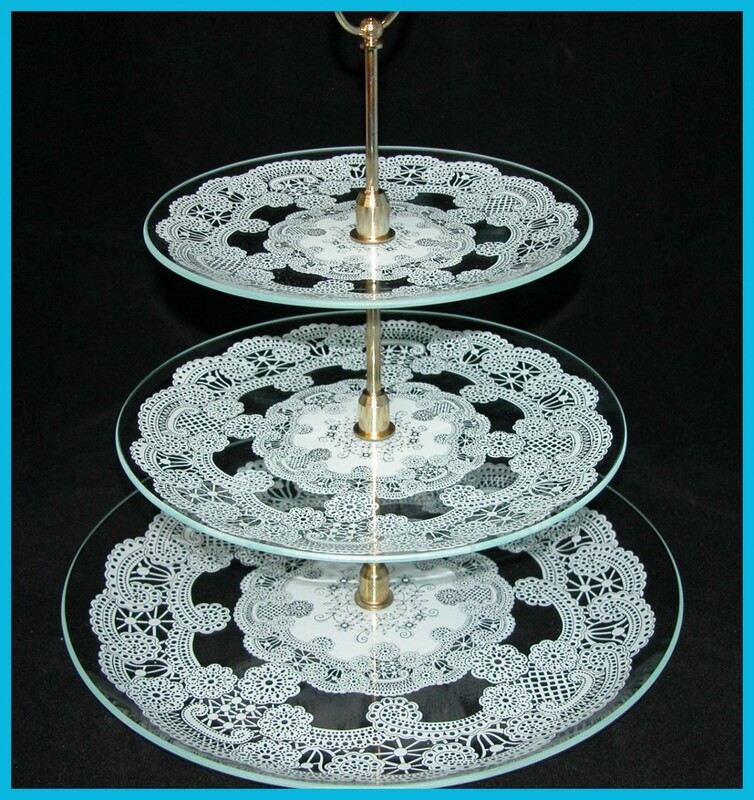 2 Piece Tray Set - 10" Square & 10" Round American Flag Set 1/8"
2 Piece Tray Set - 10" & 8" Round Battenberg Lace Design 1/8"
2 Piece Tray Set - 9" Square & 8" Round Lace Heart Design 1/8"
2 Piece Tray Set - 10" & 13" All Over Trees 1/8"
2 Piece Tray Set - 10" & 13" Blue & Green Trees 1/8"
2 Piece Tray Set - 8" x 14" & 6" x 12" Lace Design 1/8"
2 Piece Tray Set - 8" x 14" & 6" x 12" Battenberg Lace Design 1/8"
2 Piece Tray Set - 8" & 13" Stained Glass Design 1/8"
3 Piece Tray Set - 13" & 8" Squares & 8" Round Battenberg Lace Design 1/8"
3 Piece Tray Set - 13", 10", & 8" Round Lace Design 1/8"